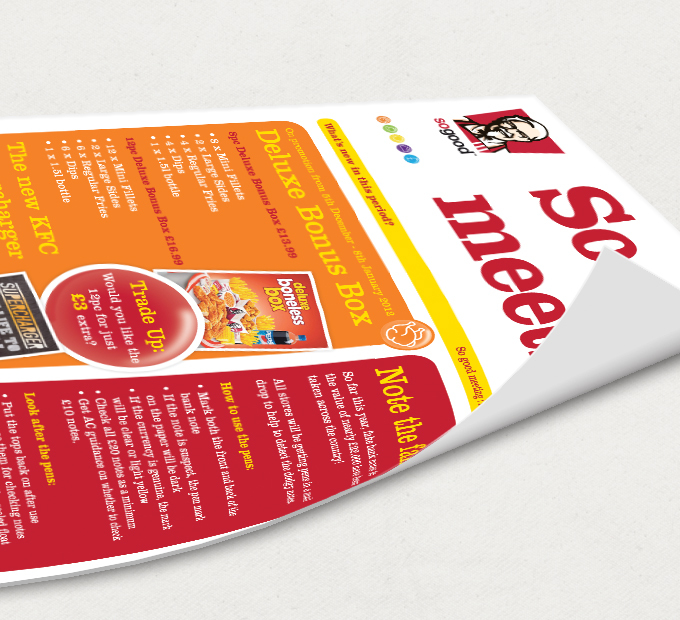 KFC needed a simple solution for cascading their marketing communications each period to their employees across over 750 locations. 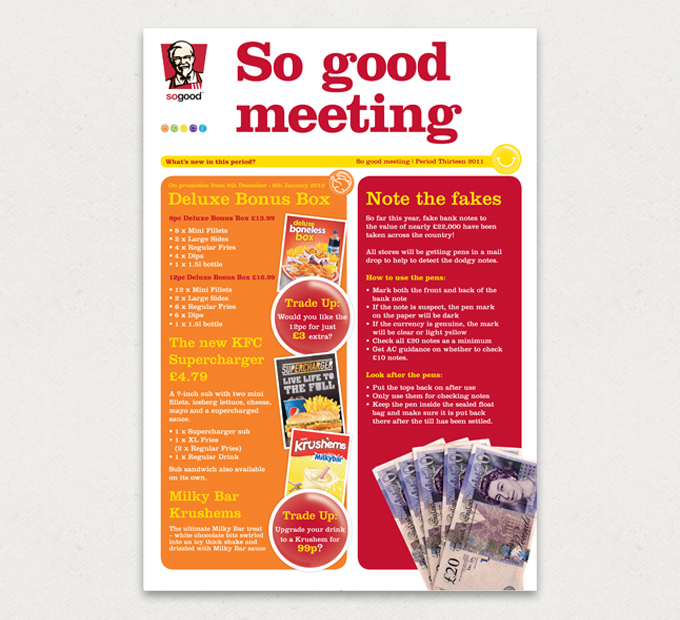 CW was asked to carry out a review of KFC’s internal communications processes. After a thorough assessment, CW determined that, due to a high rate of staff turnover, strategically placed posters would be the most appropriate way to deliver key messages to their employee base. A jargon free design-led poster delivered each month summarises the key offers and messages that employees need to be aware of. It is delivered in team briefings and then displayed for the period.